While the CERES interface allows users to search the DPLA's contents and sort the results using facets, the DPLA's own web-search interface (dp.la) provides a superior experience of looking through its vast contents. 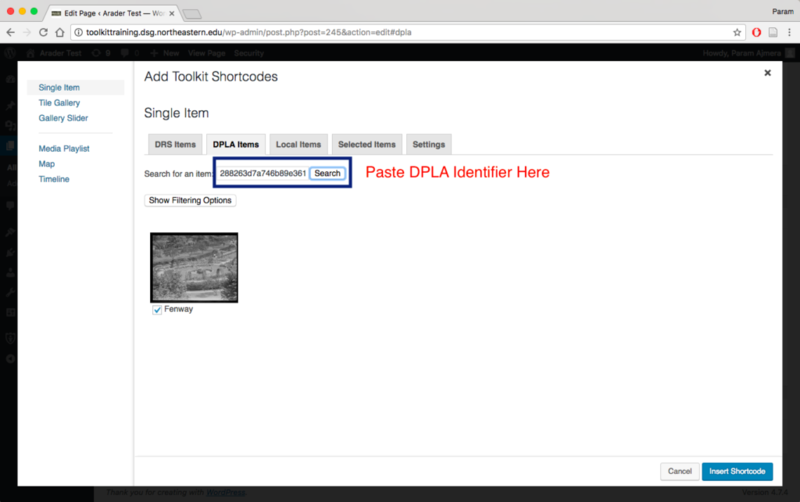 In this regard, it is possible to search and identify the items that you would like to use in the DPLA and then locate them easily in the CERES Toolkit for use in your website. To find specific items in the DPLA through CERES, first visit the item's specific page in the DPLA's website. 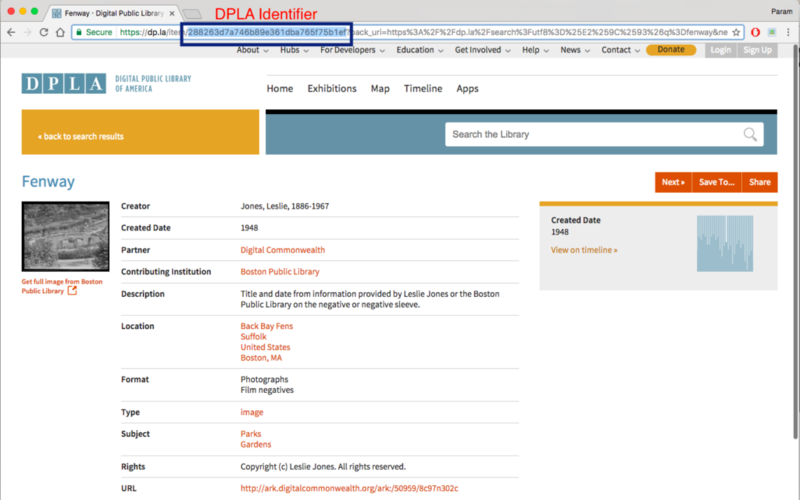 Next, copy the item's DPLA identifier. This is the string of letters and digits following the "item/" and before the "?" in the single item page's URL (see the image below). Finally, paste this identifier in the CERES search interface and click "Search." This will make that item available for use in your website. The Media Library is a feature that allows users to upload content for use in their website. 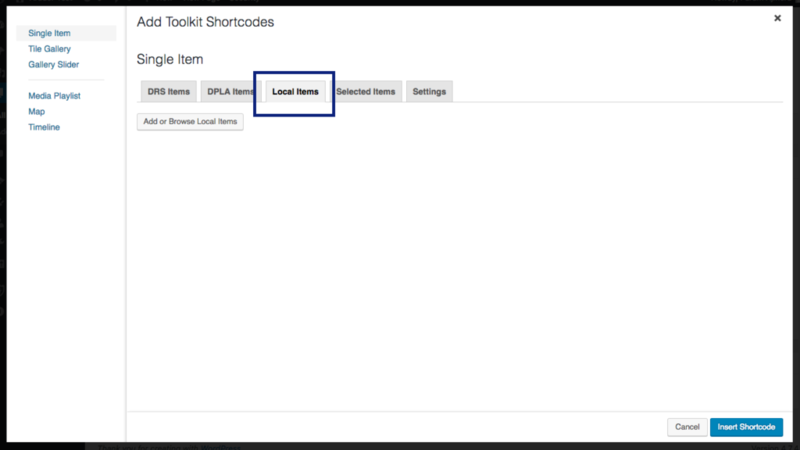 This is an option for users who cannot upload materials to the DRS and cannot locate these items in the DPLA items either. 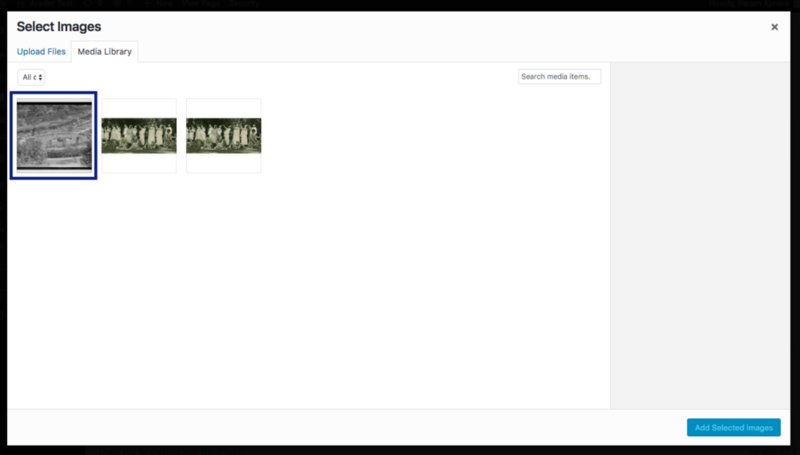 To upload items to the Media Library, click on "Media" in the Dashboard, and then click "Add New". This will take you to a page where you can upload items to WordPress. 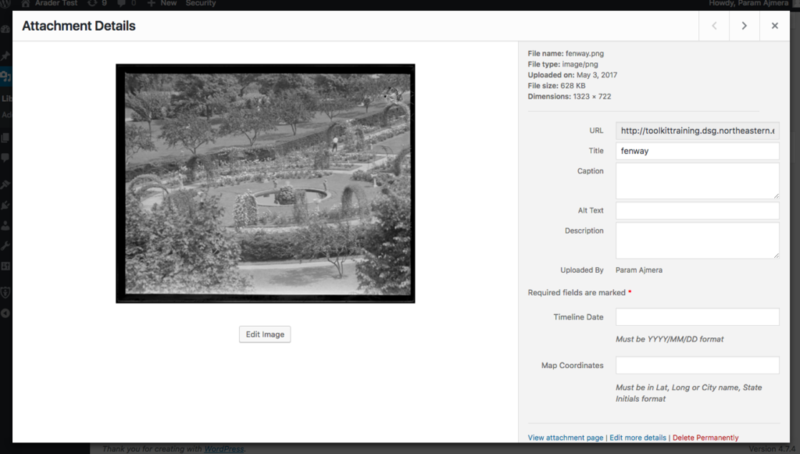 After you have uploaded the file, you can add / edit the metadata associated with it by clicking "Media" in the Dashboard and then clicking on the item that you wish to edit. You can also delete the file in this window. After your items have been uploaded to the Media Library, they will become available for use in CERES under the "Local Items" tab. Here they can be used like any other item in the DRS or the DPLA. Note: If you add local items using the WordPress "Media Library," they will not behave the same way as other embedded items. Adding these local items using a Toolkit Shortcode, however, means that they will behave like your other items.